All ESF schools are non-selective academically. However, as English is the medium of instruction, it is essential that students demonstrate fluency in English before admission can be considered. 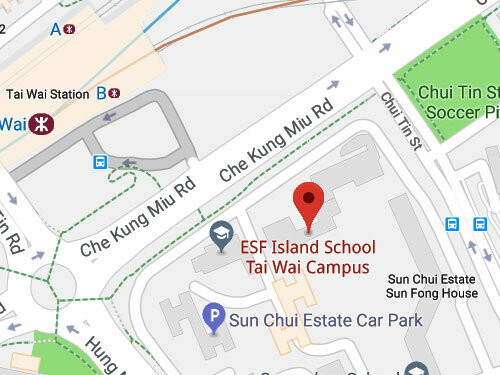 For school tours, please send email to admissions@online.island.edu.hk. Hong Kong Island Mid Levels (including Kennedy Road west of the Hopewell Centre), Old Peak Road, Conduit Road and Robinson Road as far as Castle Road, some of Central District served by Glenealy School and the Peak. Discovery Bay (shared with West Island School). West Kowloon bordered by Ferry Street and Tong Mi Road to Lai Chi Kok Road. 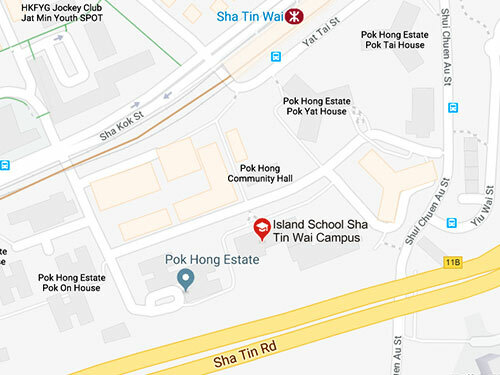 North of Boundary Street and west of Tai Po Road, extending west to Tuen Mun except for the area of Tsuen Wan that is part of Sha Tin College zone (see Sha Tin College). For full information on ESF School zones click here. If your child is going to withdraw from the school, please complete the official Student Withdrawal Notice and submit the notice to school admission office at least one calendar month before the last attendance date. Please be aware IS is planning a redevelopment, please see further information here.